Aimee Byrd speaks about her new book, Housewife Theologian: How the Gospel Interrupts the Ordinary, with panel Camden Bucey, Nancy Guthrie, and Melissa Kruger. The topic of her book and of this episode’s discussion is the gospel’s particular applications to the lives of women, women’s role in the family and in the church, and the relevance of theology to mundane and ordinary parts of life. Housewife Theologian is published by P&R. Aimee Byrd blogs at Housewife Theology. She’s also a member of Pilgrim Presbyterian Church (PCA) in Martinsburg, WV where she teaches women’s bible study. And she’s just been announced as a regular contributor to the Mortification of Spin podcast with Carl Trueman and Todd Pruitt. Nancy Guthrie is the author of numerous books and bible study curriculum (including video series) on seeing Christ in the Old Testament. Her latest is The Son of David: Seeing Jesus in the Historical Books. 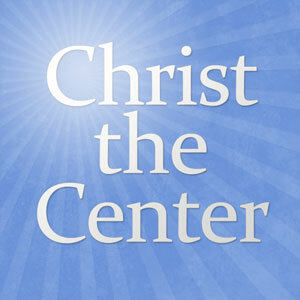 Nancy has joined us for several episodes of Christ the Center (CTC183, CTC224, CTC295). Melissa Kruger is the author of The Envy of Eve published by Christian Focus, which she spoke about on Christ the Center episode 276. She’s also on staff in women’s ministry at Uptown Church (PCA) in Charlotte, NC, a mom to three kids and wife of Dr. Michael Kruger, President and Professor of NT at Reformed Theological Seminary Charlotte. I listened to the episode of Mortification of Spin where they interviewed Aimee. She more than held her own with Carl Trueman. It was a great episode. This was very good. Thank you!